What's with the 6 Hankie Ideas? Well, it's the month of June and Innisfree has something special for all of you! 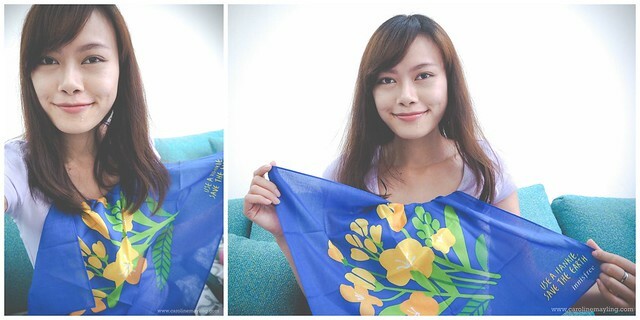 In conjunction with World's Environment Day, innisfree is bringing its Eco-Handkerchief Campaign into Malaysia for the first time this month! Some of you must be wondering WHY handkerchief? While some may think the handkerchief is an old-fashioned icon designed for the old-timers, the green makers at innisfree think otherwise when they decided to bring it back into fashion. As an inspiration and encouragement to its global customers to replace the tissues we use every day with a little hankie, innisfree think otherwise when they decided to bring it back into fashion. As an inspiration and encouragement to its global customers to replace the tissues we use every day with a little hankie, innisfree has been re-discovering and re-inventing the usage of the humble handkerchief with chic and adorable designs. Available in four designs, each hankie represents a seasonal plant and delivers the message of "Use a hankie, save the earth". With a simple switch to this practical act of green, tons of paper and thousands of trees will be saved. From June 1st until June 30th, shoppers who spend RM50 and above at innisfree's store will receive a limited edition eco-handkerchief, available based on the first-come-first-served basis and while stocks last. Besides that, innisfree also came up with limited edition up-sized and/or specially designed products to complement the eco-handkerchiefs! Not only The Green Tea Seed Serum and The Green Tea Seed Cream will be available in jumbo size, the packaging comes in a beautiful collection of Spring, Summer and Winter inspired designs too. The Water Glow Cushion has a Spring canola flower to it, whereas the Long Wear Cushion is complete with the symbolic Summer's flower green tea flower pattern. What I really love about The Green Tea Seed Cream (100ml) is definitely because it is a moisture-rich gel type cream that combined with antioxidative green tea EGCC** to keep the skin healthy and moisturized without feeling sticky! The cream provides a long-lasting shield of moisture and leaves the skin drenched in moisture. ** Green tea EGCG is a type of polyphenols extracted from green tea leaves, which serves as powerful antioxidant. WHAT CAN YOU DO WITH A HANKIE? 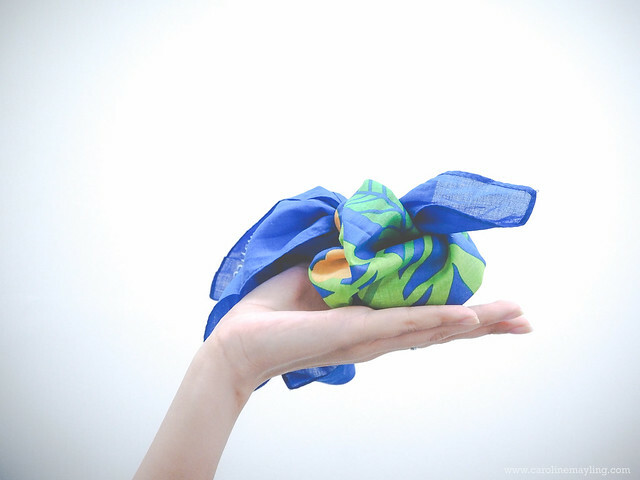 Instead of just using your chic hankie as a replacement of tissue paper, why not make the full use of it and make it fun? And, I've come up with 6 simple hankie ideas here! 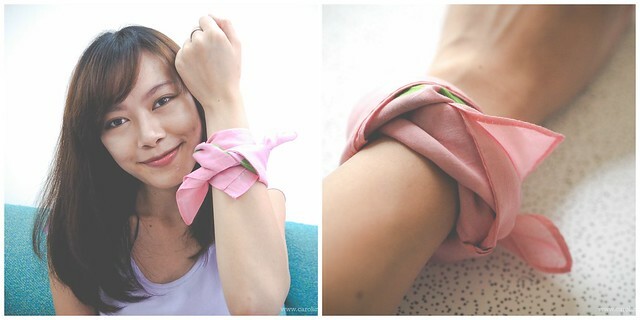 Use your favorite hankie as a bandana! This way, you do not worry if you do not have a proper bandana because they work the same way too! 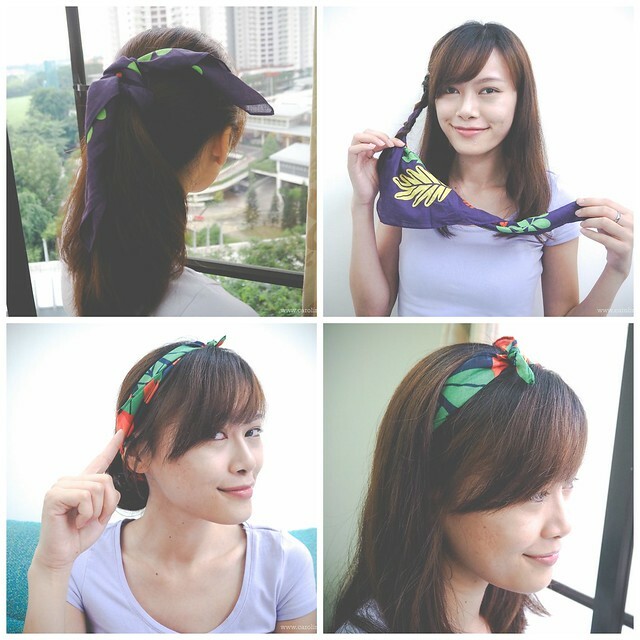 Use your favorite hankie as your hair accessories! Can't find your hair tie? Headband? Fret not, you do not need them when you have a hankie with you! See, you can either use as a hair tie or a headband or even make a fancy braid with it! Use your favorite hankie as your arm candy! Alright, not really an arm candy. But hey, you can simply get one of your chic hankies and tie it on your wrist to complement your simple look of the day! Use your favorite hankie as a bib! Well, you do not need a bib when you have a hankie with you! Use your favorite hankie as a gift wrapper! Hankie certainly comes in handy when you couldn't get any gift wrapper. Look, with this, no one would know you're not good in wrapping gift! You can also use it as lunch box wrapping cloth for a fun picnic. 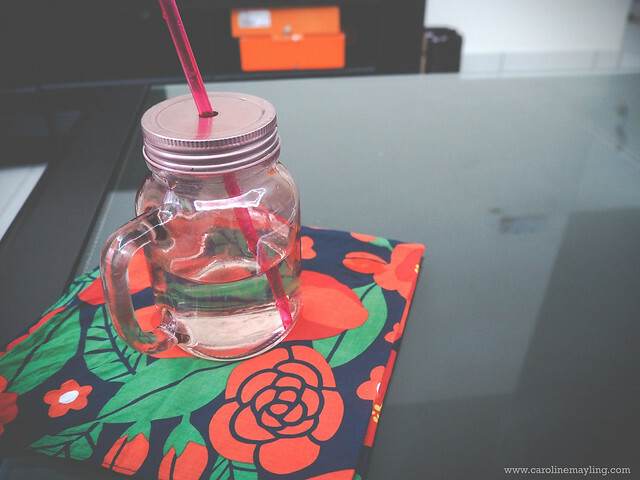 Use your favorite hankie as a coaster! Hard to get a coaster that you like or when you do not have any coaster at home? What about a hankie coaster for your drink? 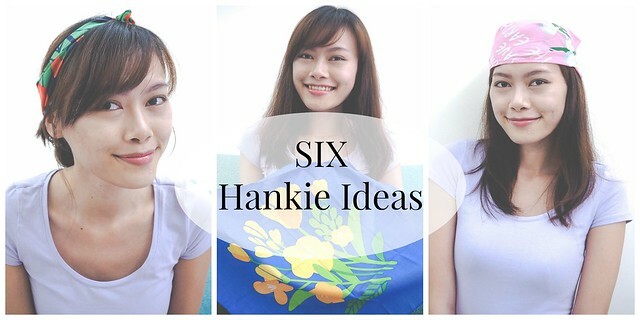 Trust me, there's so much more fun and creative ways to make use of you favorite hankies! If you wish to get all these chic hankies, head down to innisfree Sunway Pyramid Shopping Mall from 1st June onwards to celebrate the month of earth together!